Join us for the next NCompass Live, ‘One Book – One Lincoln: Building Community One Book at a Time’, on Wednesday, June 13, 10:00am – 11:00am CT.
Katie Murtha, Bennett Martin Public Library Librarian and coordinator for the One Book – One Lincoln Community Reading Program, will provide background information on One Book – One Lincoln that had its inaugural year in 2002 and has been a highlight activity of Lincoln City Libraries and the City of Lincoln each year since then. Katie will touch on various past years’ books, programs, and discussion opportunities and how the program has undergone continual changes to better incorporate community participation, input, and feedback. Lincoln is currently in the process of choosing the 2018 One Book – One Lincoln title. Three finalists were announced by the Selection Committee on May 28th: Beartown, Killers of the Flower Moon, and Little Fires Everywhere. The title will be determined by a community vote with voting taking place through July 31. The winning title will be announced in September. 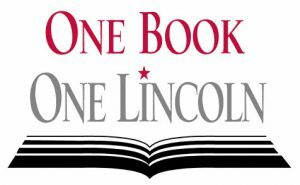 Check the One Book – One Lincoln website often for the latest announcements. This entry was posted in Books & Reading, Education & Training and tagged NCompLive. Bookmark the permalink.